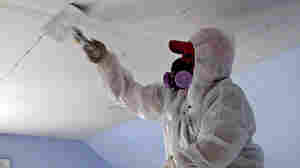 April 14, 2010  Later this month, new federal rules will require home renovation professionals to work more carefully in homes that contain lead paint. Contractors and manufacturers want more time to get ready for the change. April 14, 2010  The Tea Party movement has been staging rallies around the country to protest taxes and government spending, including a protest in Boston, where the original Tea Party took place. 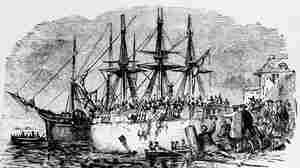 Historians say that the Tea Party in 1773 was sparked not by a tax, but by a British government bailout. April 5, 2010  The government is launching a new effort to encourage "short sales" of houses in danger of foreclosure. The Treasury Department will offer more than $3,000 in incentives to lenders and homeowners. March 26, 2010  The Treasury Department is unveiling an aggressive plan to help shut down the nation's foreclosure crisis. The plan would reduce the amount some troubled borrowers owe on their home loans. March 26, 2010  The Obama administration is expanding help for homeowners facing foreclosure — especially those who are "underwater," or owe more than their homes are worth — with a new initiative being unveiled Friday. Some economists hope it will be a breakthrough in propping up the housing market — a key to fixing the economy. March 24, 2010  Bank of America, the nation's largest home lender, announced a new program today to help financially struggling borrowers. 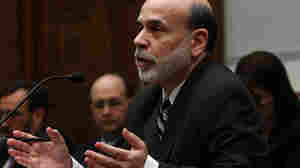 The bank said it will forgive up to 30 percent of what some mortgage borrowers owe. Housing experts say it offers real hope. March 19, 2010  Thanks to specials like zero percent financing and price cuts, Toyota sales have risen sharply. A recent Edmunds.com dealer survey finds that so far this month, Toyota has regained the same market share of sales it had before the gas pedal recall. March 14, 2010  If you don't make your car payments, someone can be hired to repossess it. They might tow it from your driveway or a parking lot. But sometimes repo men go further, breaking into people's garages or homes. Fights can break out. People get hurt, and some have even been killed, prompting some groups to call for greater regulation. March 12, 2010  If you build it, they will swim — that's the vision of Elkhart, Ind., where nearly 1 in every 5 people was unemployed a year ago. Situated close to Chicago and Indianapolis, the town is a few hours' drive for 35 million people. 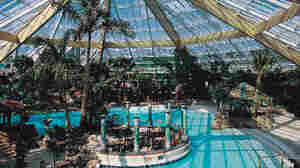 So Elkhart is exploring the idea of building a type of tropical resort popular in cold climates in Europe, such as this one in England.